For all of my followers that love a sale!! 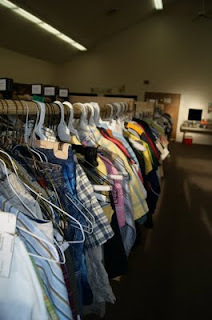 The Beanstalk consignment sale is happening this week. Consignors and Volunteers are invited to shop the Presale on Thursday evening. Times vary depending on number of volunteer shits or is a consigning volunteer. Consignors earn 70% of their sales. Those who also volunteer, earn 75%. We use an on-line tagging system, so all tags are scanned at the checkout and shoppers can have a detailed receipt if they would like one. Plus Consignors can see their sales throughout the Event. The Beanstalk accepts clothing, shoes, accessories, toys, games, books, media and small home decor. 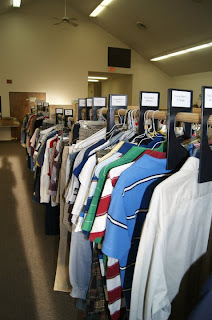 Clothing sizes are from boy’s size 6 to young men’s and girls size 6 to women’s size 22. Dressing rooms with mirrors are available. 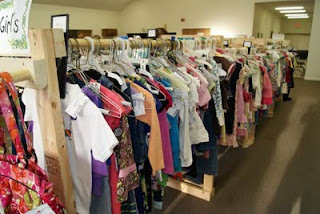 Multiple vendors will be on-site, including Monkey Hooper, Chartreuse, mine3, Creative Memories, Wildtree and thirty-one. The Beanstalk partners with Family Promise of Forsyth County to donate all unsold/unclaimed merchandise to aid homeless families in our community. Representatives with Family Promise will be on-site throughout the Event offering raffle tickets for sale to win a brand new Chevy Cruz. « Previous post link Worth NY Collection is here through Thursday! !